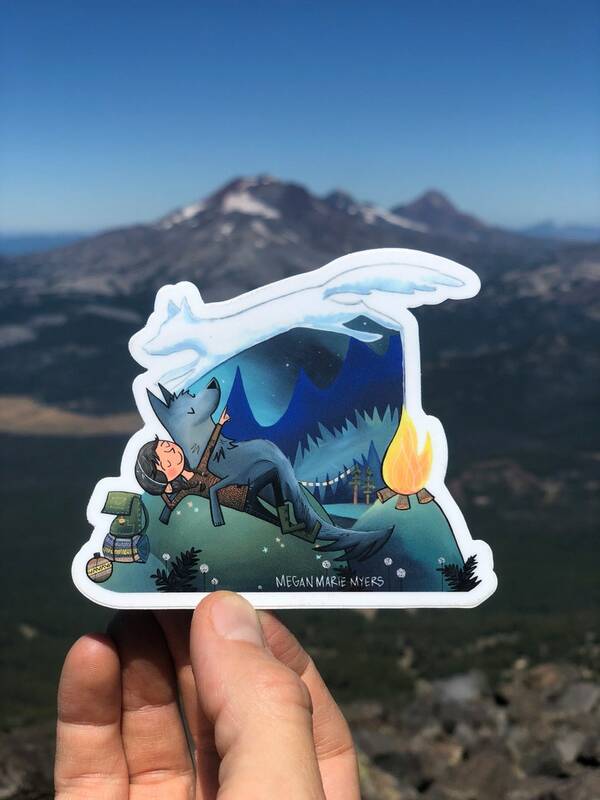 This dreamy sticker features a girl and a wolf staring up into the night sky as an animal born from campfire smoke exquisitely lingers above them. Nice quality stickers. They are big! I kept one for myself and sent the other one to Kelly and she placed it in her journal cover! 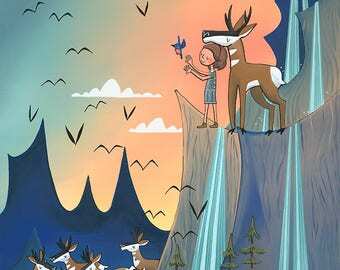 Got a couple shout outs on YouTube, too (see kellyandersonstudio) Thanks, Megan! Greeting card - "I told you I was afraid of heights but actually I love you"